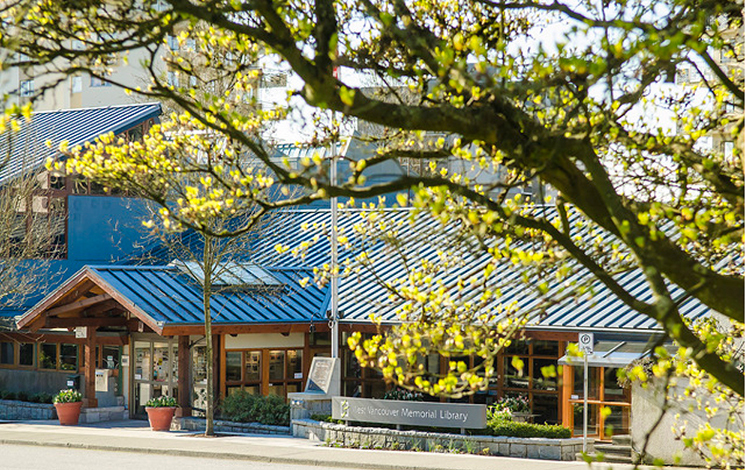 The West Vancouver Memorial Library is a dynamic, free and welcoming space that inspires discovery and learning for visitors of all ages. With books, movies and music, free WiFi, research and homework help, an art gallery and programming for teens and children, the library is a learning hub and a community gathering place. Accessibility: power-operated doors, elevator, ramp, accessible washrooms, reserved parking. Your library offers much more than books. There are movie nights, author talks, language learning, children’s entertainers, Friday night concerts, technology training—and, of course, an amazing selection of print and digital items. 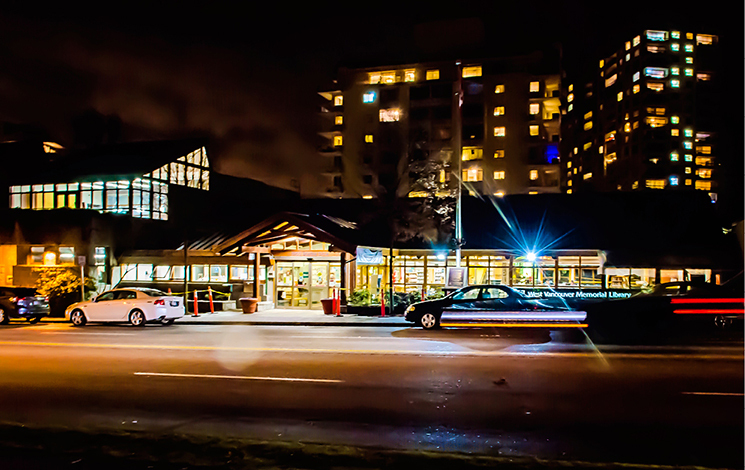 The West Vancouver Memorial Library offers a variety of free programs for all ages and interests. Look through our listings to see what's happening at the Library this month! Mondays to Thursdays: 10 a.m.–9 p.m.
Sundays (Labour Day-Canada Day): 10 a.m.–5 p.m.